Sardinia is a stunning island with beautiful Caribbean style beaches and small intimate coves. With fairly short direct flights from all over the UK and a wonderful climate and a very exclusive feel, it’s no wonder it is popular with Europe’s well-heeled families. Away from the package tourist crowds of Spain and Portugal you will find a much more relaxed and refined feel, with very friendly and welcoming locals. 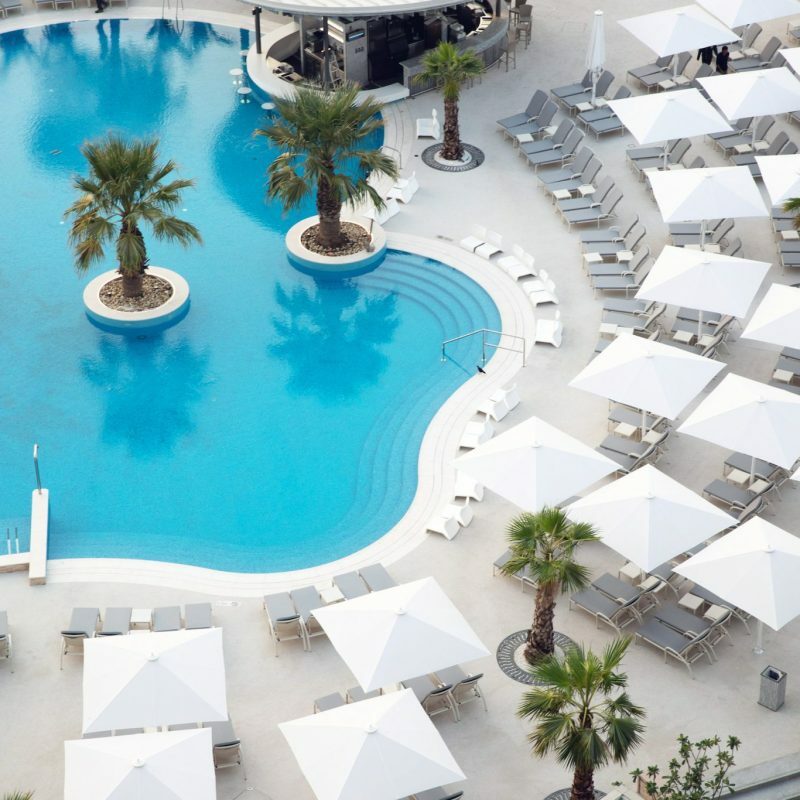 The island is home to a selection of ultra luxury hotels that have tapped into the family market and now offer some really great facilities for kids including well run kids clubs and sports academy’s. The beaches are stunning with shallow calm waters so really safe for kids. Give them a snorkel and mask and it will keep them busy for hours in the crystal clear waters. When to go – Sardinia is a great place to visit all year but Summer holidays will see the best weather if you like hot sunny days and balmy evenings. You should also have nice warm sunshine at Easter and maybe on a late trip at October half term. Where to stay – The children’s facilities at the Forte Villa Resort are second to none. This luxury complex comprises seven luxurious hotels with twenty one restaurants on site. Leasureland is the resorts own children’s theme park, with a go kart track, climbing walls, bowling alley, trampolines and arcades. There is an adventure playground, splashpool and lots of organised games and sports throughout your stay. With all the activities and supervised kids clubs, it’s unlikely you will see too much of your kids until it comes to meal times. Mauritius is one of the most family friendly holiday destinations in the World. It has a huge choice of luxury hotels offering kids clubs for all ages, including many with crèche facilities for babies and large villas and suites, ideal for families. As well as a fantastic choice of accommodation the island is only a few hour’s time difference, which makes jetlag less of a problem. It’s a fairly safe island with little crime and most of the stunning beaches are safe for kids. English is also the official language which may or may not be important for you, although that definitely makes life a little easier. When to go – It can depend on where you go as this large island does have different weather in some parts to others. Generally its best to avoid cyclone season from January to March and July and August on the East coast can get really windy. May to December is probably your best time for sunny and dry weather. How to get there – There are direct flights from London on Air Mauritius and BA. The night flights are probably the best option if your kids are good at sleeping on planes. It reduces the risk of jetlag. Transfers to the East coast resorts are the quickest. Some hotels can be a long drive of up to an hour and a half which may be a factor if you have small children. Where to stay – There are so many fantastic luxury resorts that cater to families it’s hard to pick one out. We do think it’s worth checking out any of the Beachcomber resorts or Club Med. Both have all-inclusive resorts that have really great kids clubs for all ages and plenty of fun activities. For the ultimate luxury why not book a stunning villa at Club Med’s Albion Villas, complete with your very own butler. 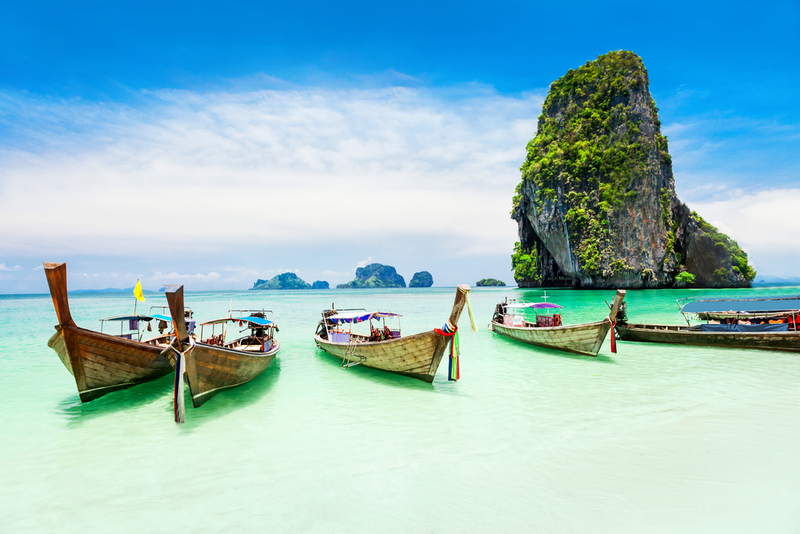 Not only is Phuket a stunning island of palm fringed beaches, jungles and forests and welcoming locals, it also offers some of the best family hotels in Asia plus a myriad of things to keep your kids entertained. The island is home to some of the best beaches in Thailand where there are various water sports on offer. The snorkelling is fantastic and will keep the kids busy for hours. There are plenty of things to do away from the hotel or the beach. from elephant rides through the jungles to the Splash jungle waterpark and if it rains you could visit the Phuket aquarium. When to go – Phuket does have a monsoon season. Unfortunately it coincides with Summer school holidays but you will find it will pour down for an hour or so then brighten up afterwards. You will still get plenty of sunshine when it’s not raining though. Summer is the most humid time to go but if you are looking for the best weather travel out in the UK winter for dry sunny days with less humidity and no rain. How to get there – There are direct flights from Gatwick on Thomson, although these can be expensive. Emirates fly from Manchester and London via Dubai and Thai Air via Bangkok. The flight time with stops is about fifteen hours but it’s worth it when you get there! Where to stay – The Banyan Tree Phuket is the flagship hotel on the Laguna Phuket complex. Banyan Tree offers an exceptional luxury standard and offers a great kids club and family villas. There are various other luxury resorts in the area that are also great for families but we think the Banyan Tree is by far the most luxurious. 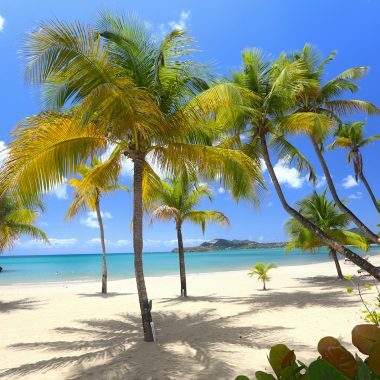 The Caribbean is a great option for a family holiday. Most of the islands are just an eight or nine hour direct flight from the UK. 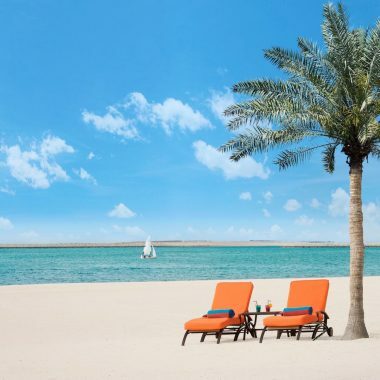 Great for winter sun, with calm clear waters on the West coast, beautiful white sand beaches and World class hotels. We have singled out Jamaica as our favourite family friendly island. Although many overlook Jamaica for a family holiday, associating it with Reggae, reefer and reports of high crime in Kingston. It does all depend on where you stay and it’s easy to avoid all of this by picking the right family resort in a quiet location. The island is home to two Beaches family resorts, one in Negril and the second Ocho Rios. 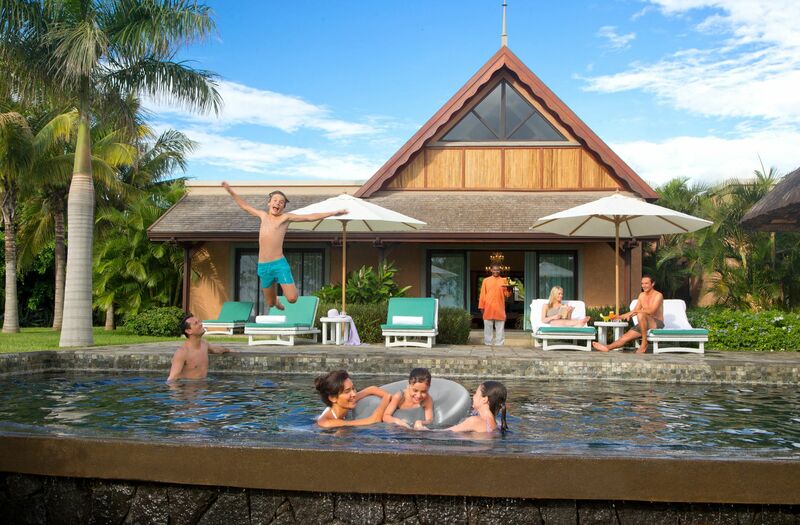 Beaches Resorts in our view are the ultimate in family luxury, offering up 5 star service and accommodation combined with extensive waterparks, great Sesame Street themed kids clubs and everything you need for a fun family holiday. When to go – Jamaica like most of the Carribean does have a hurricane season. This runs from June to November with the worst being August, September and October. These months also see a lot of rain so you might want to visit in the winter months for the best weather. 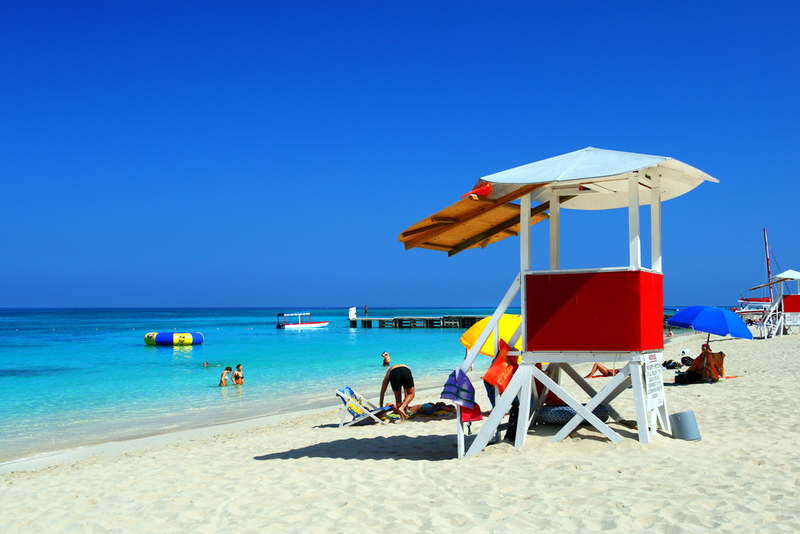 How to get there – There are direct flights into Montego Bay on Virgin, BA, Thomas Cook and Thomson. Flights from Manchester and Gatwick take about nine and a half hours. Where to stay – We highly recommend the 5 star Beaches Negril Resort. This award winning beach resort combines 5 star luxury with some of the best kids facilities you will find in any hotel anywhere. Kids will love the large waterpark and the Sesame St themes kids clubs with all their favourite characters on hand to entertain them. On every kids wish list a visit to Disneyworld in Florida is a must for families all over the World. We thought we would take a look at Disney and see if the luxury traveller is catered for. 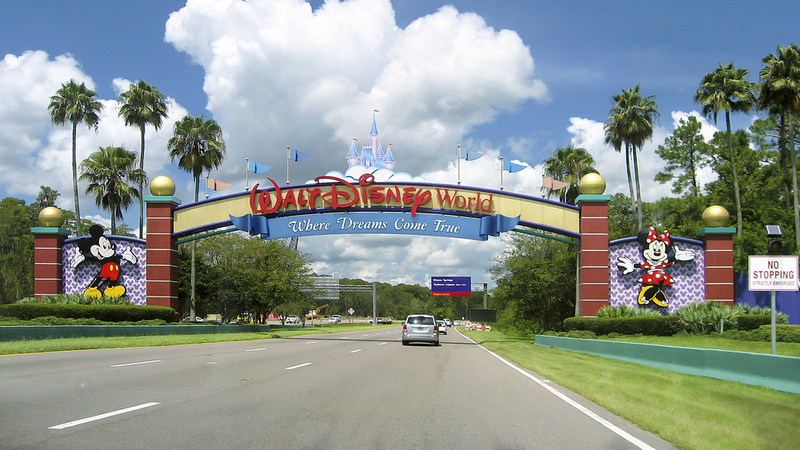 For the ultimate Disney experience you just have to stay within the park in one of the Disney resort hotels. The extra time in the parks when the general public have left is reason in itself. Your little ones can meet all their favourite Disney characters at the hotel and even arrange a special Disney character breakfast. The Grand Floridian has long been the flagship resort at Disney and also though listed as a deluxe resort it probably falls more into the high four star category. People used to ultra luxurious resorts may not find the sort of luxury and service they are used to on their other holidays. That has recently changed though with the opening of the Four Seasons Orlando at Disneyworld. Set within the gates of Disney, you get all the benefits of a Disney Resort hotel combined with the refined luxury of Four Seasons World renowned service. This is central Florida’s only hotel to receive the coveted AAA Five diamond rating and offers up ultra luxurious facilities and rooms with exception 5 star service. When to go – Disney is open all year but for the best experience why not visit at Halloween or over the July 4th celebrations. 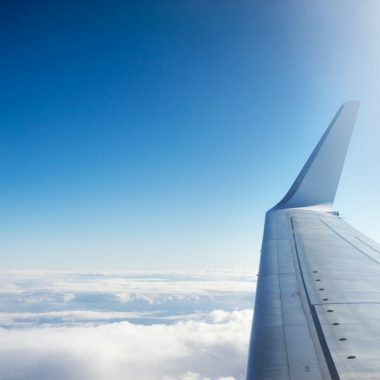 How to get there – Direct flights are available with Virgin and BA amongst others from various UK airports. The hotel can arrange private airport transfers from Orlando airport which takes about 25 minutes. Where to stay – The Four Seasons Orlando at Disneyworld. This sumptuous new hotel is the epitome of luxury with exceptionally high levels of service. Within the Disneyworld park you can also benefit from all the extra benefits of a Disney hotel, including Disney transport, character breakfasts and extra time in the parks. 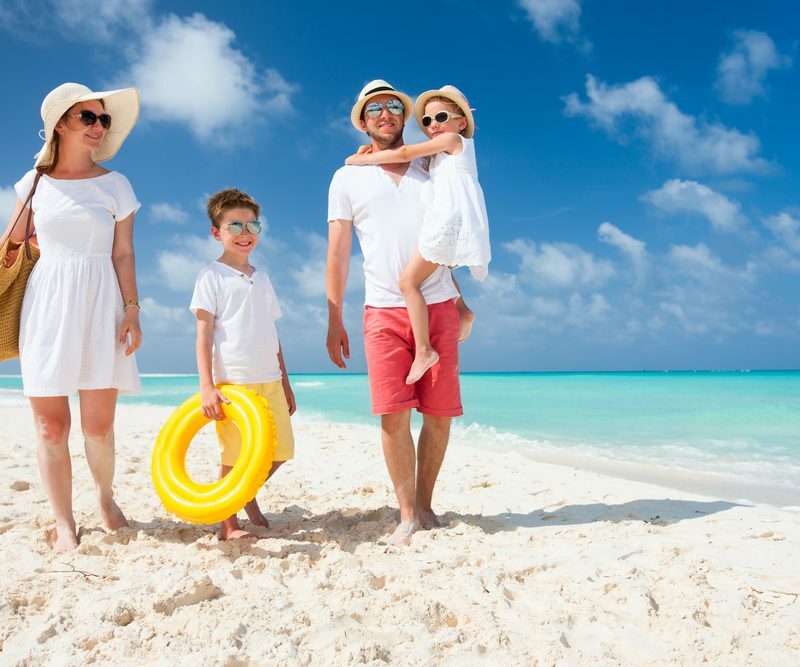 www.family-trips.co.uk are family holiday specialists offering a wide range of family friendly holidays in the UK, Europe and Worldwide. Great deals on Disney holidays, Summer and Winter sun holidays, villa holidays, family skiing and active holidays. Atol protected.